Board signed a futures contract with the Jaguars on Monday. Analysis: Board spent most of December on the Jaguars' practice squad. 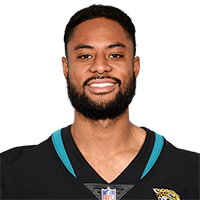 He has yet to make an active roster since going undrafted in 2017, but he'll look to secure a depth receiver and special teams role with Jacksonville in 2019. The Jaguars signed Board to their practice squad Monday, John Reid of The Florida Times-Union reports. Analysis: The Browns waived Board in September after he injured his shoulder during the team's preseason finale. Now fully healthy, the first-year receiver will look to provide depth to Jacksonville's receiving corps. There are no videos available for C.J. Board. Click here to view all videos.